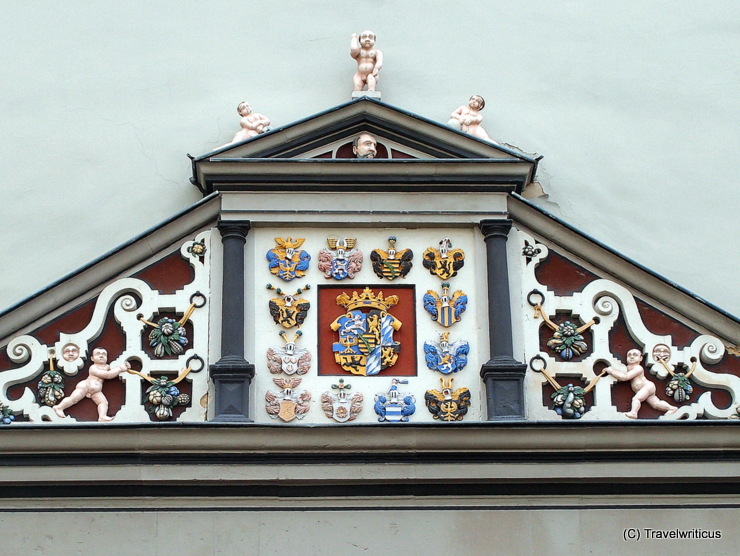 A closer look at the central coat of arms reveals that it represents the alliance coat of arms between the Duchess and her husband. This one is Johann Wilhelm, Duke of Saxe-Weimar. 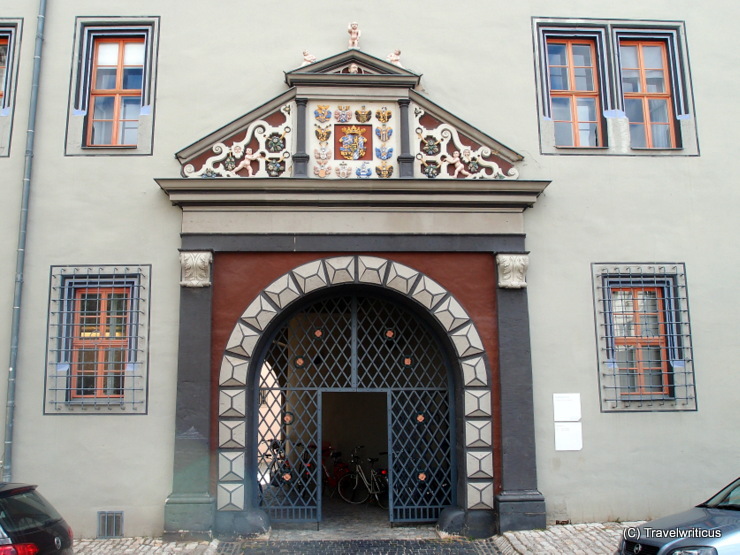 This entry was posted in Gates, Renaissance and tagged Germany, Thuringia, Weimar by Travelwriticus. Bookmark the permalink.